Looking to gear up the little ones for a ski trip or the possible record breaking temps this Winter? Check out the L.L. 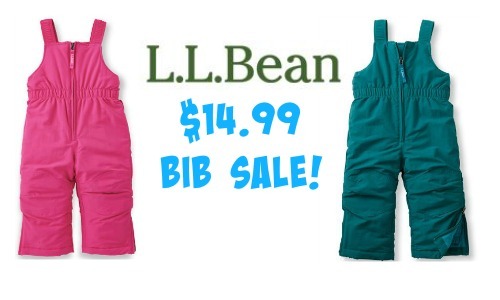 Bean Sale on Infants’ and Toddlers’ Cold Buster Bibs. The bibs are available for $14.99, regularly $59! These are popular with moms in prep for Snowpocalypse season. These will come in handy for keeping the little ones warm, but hurry because sizes are going quickly! Go through ShopatHome or Ebates first to get cash back from your order! Offer valid for a limited time. Shipping is FREE.